One of the reasons we seek to pray through the day is so that we can hear God’s daily invitations to us. How can we cultivate this attitude of listening to God in our daily life? The examen prayer is one of the best tools to help us listen to God’s invitations to us in our daily life. It is recommended by the saints—St. Francis de Sales, St. John Chrysostom, St. Basil, and most notably St. Ignatius of Loyola, who developed this prayer in the way we discuss it below. Foundationally, the examen is a way to recognize God’s presence in our life today. 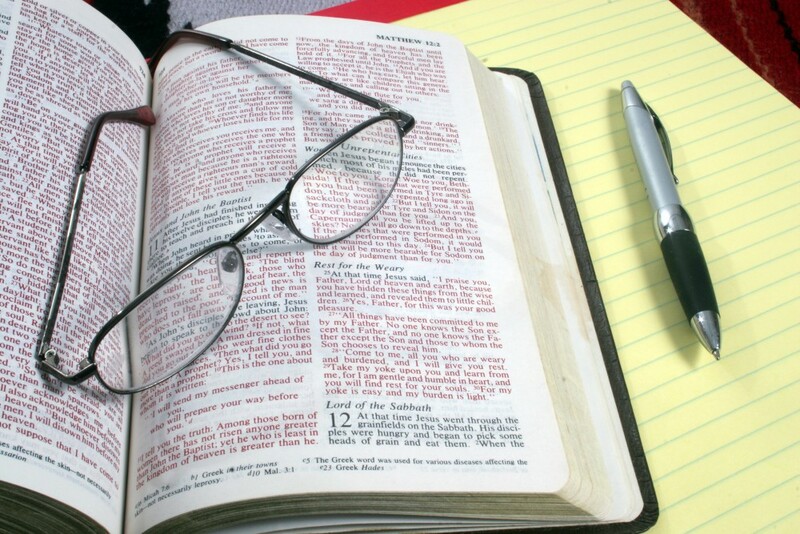 As a tool to help us to listen to God in my daily life, it’s best used as a daily practice. St. Ignatius recommends making the examen “formally” twice a day: around noon and in the evening; in his Examen App, Fr. Michael Denk provides an easy option to schedule it into your day. As I mentioned in an earlier post, I totally recommend Father Denk’s Examen App, which will guide you through the whole process—either through words on the screen, or through his videos. The Jesuits have developed many wonderful resources to help someone learn and use this powerful practice of prayer, and many are available online. 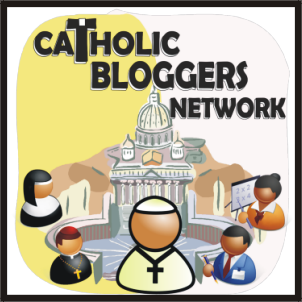 You can find videos, audio files, articles, and printed materials here. For those who are hesitant about making the exam, not interested in the app, or already pray the examen and would like to explore it further, let’s take a deeper look. Review the events of our day, paying attention to how we responded to God’s gifts and invitations, and especially noting our thoughts and the stirrings of our heart. We ask forgiveness for the times that we have turned away from God’s gifts and invitations. Blessed James Alberione (Founder of the Daughters of Saint Paul) told us that praying the examen is crucial for growing in the spiritual life. He advocated praying it preventively in the morning during meditation, making the examen during our daily Hour of Adoration, again at noon, and again at evening prayer. For him, the practice of the examen is one of the best ways to grow in self-knowledge and in humility. To make the examen well, Blessed James Alberione recommends writing down the main points: the gifts that God has given us, the events of our day and how we have responded, and our renewal of our resolve. The Examen App actually gives you a place to journal on your phone or tablet, but non-digital folks can use a small notebook. Above all, Blessed James saw the examen as a path towards what he called “the habitual examen.” In other words, praying the examen through the day is meant to bring us to living mindfully, aware of our thoughts and desires, our words and choices, as we are living them. For Alberione, the goal of the examen is to bring us to a place where “my heart is with Jesus,” where the desires of Jesus become our desires. In other words, to live continuously in a spirit of discernment. 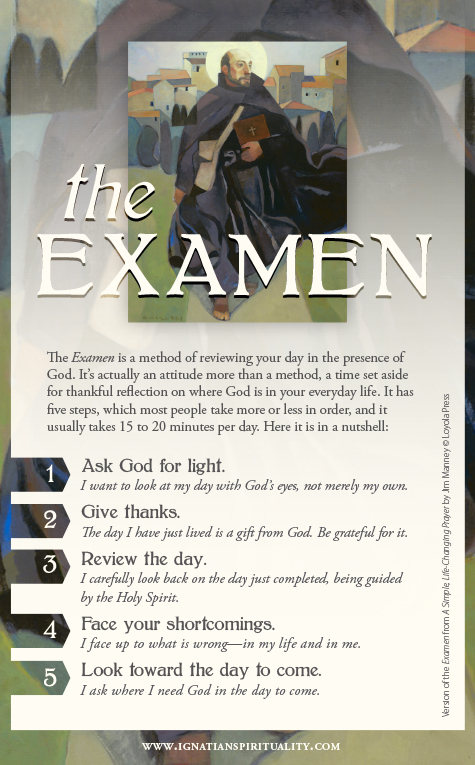 As a follow-up to this post, try to make the examen prayer today or this week. Please feel free to contact me in the comments or via email with any questions you have about this beautiful and helpful form of praying that can draw us deeper into a spirit of discernment. In my next post, I’ll share a personal example of how I pray with the examen prayer during my Hour of Adoration.